Most of the DBCC commands return their results as textual output, even if you have SSMS configured to return result sets to a grid. This makes examining the output a manual process that is prone to errors. It sure would be nice if there was a way to return the output to a grid. If we were to examine Books Online (BOL) for DBCC in 2000 (http://technet.microsoft.com/en-us/library/aa258281%28v=sql.80%29.aspx) and 2005 (http://msdn.microsoft.com/en-us/library/ms188796%28v=sql.90%29.aspx), we would notice a section titled “Using DBCC Result Set Output”, with the phrase: “Many DBCC commands can produce output in tabular form by using the WITH TABLERESULTS option. This information can be loaded into a table for additional use.” This section has been removed from more recent versions, most likely because the results returned are not documented for the individual DBCC commands and are thus subject to change without notice. CHECKDB found 0 allocation errors and 0 consistency errors in database 'master'. CHECKDB found 0 allocation errors and 0 consistency errors in database 'mssqlsystemresource'. DBCC execution completed. If DBCC printed error messages, contact your system administrator. CHECKDB found 0 allocation errors and 0 consistency errors in database 'mssqlsystemresource'. we would actually get two result sets – one for the master database, and one for the hidden mssqlsystemresource database. Notice that the “DBCC execution completed…” line is not in either of the result sets – it is still displayed on the Messages tab. Msg 8939, Level 16, State 98, Line 1 Table error: Object ID 885578193, index ID 0, partition ID 72057594039042048, alloc unit ID 72057594043432960 (type In-row data), page (1:328). Test (IS_OFF (BUF_IOERR, pBUF-&gt;bstat)) failed. Values are 133129 and -4. Msg 8928, Level 16, State 1, Line 1 Object ID 885578193, index ID 0, partition ID 72057594039042048, alloc unit ID 72057594043432960 (type In-row data): Page (1:328) could not be processed. See other errors for details. CHECKDB found 0 allocation errors and 2 consistency errors in table 'Tally' (object ID 885578193). CHECKDB found 0 allocation errors and 2 consistency errors in database 'Lab'. repair_allow_data_loss is the minimum repair level for the errors found by DBCC CHECKDB (Lab). Table error: Object ID 885578193, index ID 0, partition ID 72057594039042048, alloc unit ID 72057594043432960 (type In-row data), page (1:328). Test (IS_OFF (BUF_IOERR, pBUF-&gt;bstat)) failed. Values are 133129 and -4. Object ID 885578193, index ID 0, partition ID 72057594039042048, alloc unit ID 72057594043432960 (type In-row data): Page (1:328) could not be processed. See other errors for details. CHECKDB found 0 allocation errors and 2 consistency errors in table 'Tally' (object ID 885578193). CHECKDB found 0 allocation errors and 2 consistency errors in database 'Lab'. repair_allow_data_loss is the minimum repair level for the errors found by DBCC CHECKDB (Lab). Here we can see that we indeed have corruption. Quickly now… is any of this corruption in a non-clustered index? As you can see, this already makes examining your errors somewhat easier. For instance, you can easily scroll through this output to see if the corruption is in non-clustered indexes (IndexId > 1), where the corruption could easily be fixed by scripting out the index definition, dropping and then re-creating the non-clustered index. Suppose you had over 100 errors… you can see how much faster this would be. Now that we have the data stored in a temporary table, let’s run a query against the table to return some aggregated data. So, there we go. Easy-peasy. By utilizing the TABLERESULTS option, the output of the DBCC CHECKDB command has been persisted into a table, and we are now able to run our own queries against that data. In the event that there is corruption in multiple indexes in a table, this query could easily be extended to get the number of errors in each index. 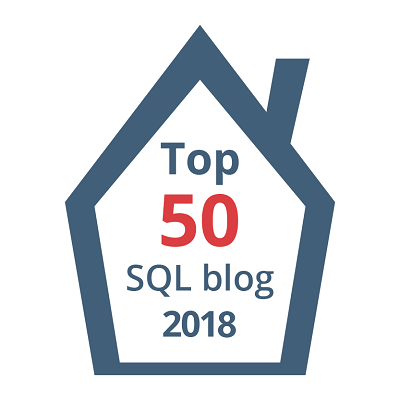 This post is re-published from my original post on SQL Solutions Group. Fantastic article, Wayne. Thank you. I will definitely be making use of this in our environment. That’s great Greg. How are you planning to utilize it? #1 | Pinged by Saving DBCC Results – Curated SQL about 2 years ago.